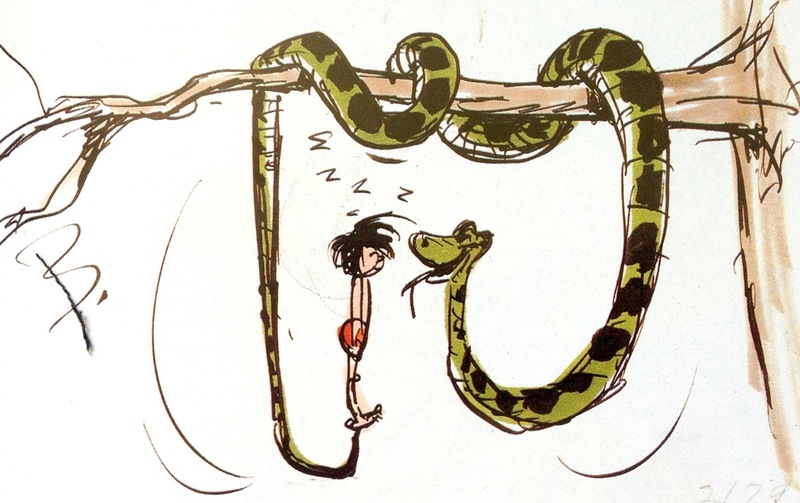 During the development of the 1967 animated classic Walt realized the strong appeal of Kaa. The sneaky snake had gone through a strenuous developmental evolution, and the perfect mix of conniving and bumbling (not having arms can be rough!) was found. Disney asked the story development team to include another segment involving Kaa, and had the Sherman brothers write a song for the new sequence.